The Best Evergreen you can plant! "Quickly screen out neighbors or unsightly areas....without taking up a lot of yard space..."
Thujas grow in a uniform shape and height. You get that classic French Renaissance look without having to prune or shear. In fact, you don`t have to do anything to them. They`re drought tolerant and have no significant insect or disease problems. Thujas are a popular alternative to disease prone evergreens like Leyland Cypress and Hemlocks. You`ll never have to worry about mixing chemicals or spraying these trees. They`re even resistant to deer and bagworms. This is a tough tree. Resists ice and snow damage. Grows in almost any soil, even sandy loam or heavy clays. It prefers direct sunlight, but also does well in partial shade. 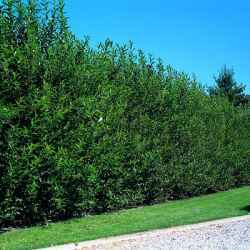 The perfect fast growing evergreen for a privacy hedge and wind screen because of its dense, narrow shape. Plant every 5-6 feet for a thick barrier. Grows up to 5 feet a year until maturing to 30 to 50 feet... or you can easily trim it to your desired size. The Thuja Giant provides you with a deep green look from top to bottom that will last all year long. Grows almost everywhere in the US, prefers Growing Zones 4-9. 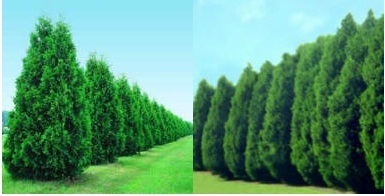 Be aware that all Thuja Green Giants are not the same. Some nurseries sell newly rooted Thuja branch cuttings as plants. Thuja Green Giants are a hybrid and don`t grow from seed. They are started by planting branch cuttings. We take these rooted cuttings and grow them in large pots for up to one full year. This way you get a hardy, well developed root system that is ready to support rapid growth. Many nurseries try to sell you the newly rooted branch cuttings. They`re not only delicate, but you`ll see very little growth the first year. They have to establish a stronger root system first. Often these are sold as "bare root" or in small pots. We understand that you don`t want to wait for your trees to grow. You can be assured that when you order from Fast Growing Trees Nursery, you are getting the highest quality, fastest growing plants available. 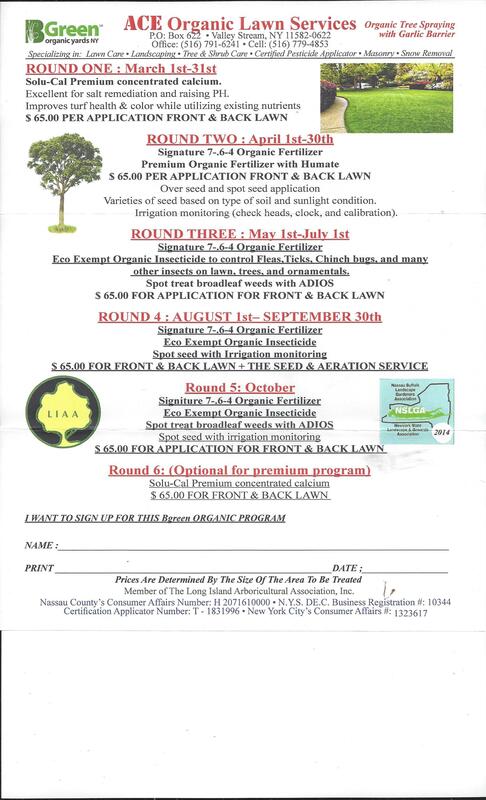 Your trees are so hardy that we back them with a full, one-year replacement guarantee. The Lombardy Poplar is the ideal tree for building privacy barriers not only because of its leaf density and rapid growth rate, but also because of the tree's beauty. It is often planted as a wind screen because it's close, erect branches create a dense barrier. For a great privacy screen, plant 5 to 8 feet apart. This poplar grows straight up in a thin fashion very quickly. Its upward-sloping branches form a gentle, columnar outline. Many enjoy its picturesque green color and its ability to mature quickly into a visually pleasing tree. The Lombardy Poplar is one of the few trees to have its branches grow up rather than down. These trees are very popular for birds to nest in. If you enjoy wildlife, this is the tree for you! The Lombardy Poplar grows best in Growing Zones 3-9. We guarantee this beautiful tree for one year. The new Dynamite Crape Myrtle tree is the only Crape Myrtle that gives you bright red blooms… the most spectacular red you’ll find on a tree. Your blooms will last longer than other flowers… from spring deep into fall. It is the reddest Crape Myrtle ever grown… not deep pink, not orange, but bright, cherry red. Perfect for attracting attention to your home. Few trees have blooms this bright color … and even fewer have flowers this red. Gives you amazing color even in the dead of summer. Plant in a row to create a beautiful and unique privacy hedge that proudly displays red flowers for up to 4 months! Just plant 15 feet apart. Dynamite Crape Myrtle trees are also the most mildew-resistant of all crape myrtles… a necessity when grown in southern states, or in Growing Zones 6-9. Also makes an amazing showpiece. Plant in the center of your lawn to attract attention… or plant near your home to soften the edges of your house. A very easy tree to plant and grow. Just plant and be amazed! Matures to a height of 15-20 feet. Your new tree was grown in a gallon container, meaning that its roots are far superior to other root systems of trees that were grown in smaller pots. This makes its survival rate many times better, and planting much easier. The fastest growing privacy screen tree you can find! The Willow Hybrid will grow approximately 6 feet a year under favorable conditions. Under ideal conditions, the tree has been known to grow even faster. Great when grown as a privacy screen. Willow Hybrid trees are very effective at blocking out what you don't want to see. M akes an effective wind barrier as well. Disease resistant, too! Tolerant of both hot and cold climates... found growing in both Florida and Canada! Tolerates almost any soil. A tall, full, green, and overall beautiful tree. Often used for shade because of its fullness. Ideal for a privacy barrier, wind screen or as an ornamental showpiece. This dense tree can easily block wind, dust, and eyesores. The Norway Spruce can grow to Christmas Tree height in as little as two years. Continues to grow rapidly to a mature height of 40 to 60 feet. You'll enjoy its deep rich color year-round...its even drought tolerant! Plant every 6 feet for a solid green privacy screen. Plant on the northern edge of your property for a substantial wind barrier and help lower your winter heating bills. Adaptable to a variety of conditions and soils. Matures to a majestic pyramidal shape…grows great in Growing Zones 6-10. Grows in all southern states!